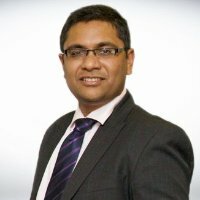 Vibhav Agarwal is the Director, Product Marketing at MetricStream. Vibhav has 11+ years of progressive experience in Enterprise product marketing, sales management, ERP & CRM program planning and delivery, software vendor selection and implementation across Hi-Tech, Trading & Capital Markets and Internet domains. Worked extensively in various roles dealing with multinational conglomerates as well as mid-sized companies like Info Edge India, in deals ranging between 0.5-30 million USD. Exposure to all stages of product and IT applications, sales & marketing, product management, and enterprise implementations. Layering Governance Over Cloud: Do Not Re-Build Perpetually! Cloud Security: How Can GRC Help?